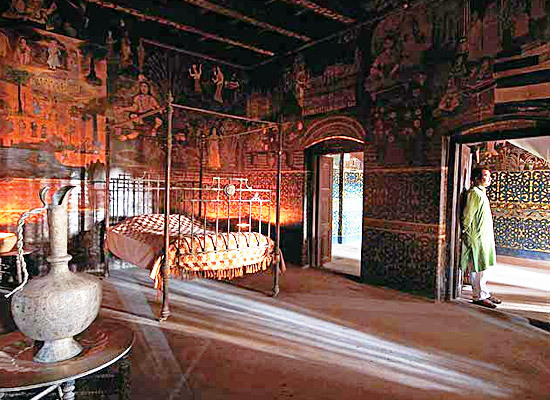 "The Chhuikhadan Palace is an 18th century royal home in Chhattisgarh. It is situated en-route the road connecting Rajnandgaon and Kawardha. The palace is being transformed as a heritage hotel similar to that of Kanker Palace and Kawardha Palace. Spread over 7 acres, the typical palatial grounds exudes nostalgia of olden days. 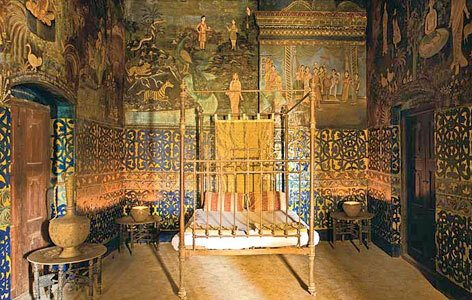 Paintings and the preserved decor reminds you of the days of royalty. The palace at present offers two luxury rooms for accommodation. The food is a royal meal cooked by the family. Host of services and amenities are available for guests. Spend a blissful stay evoking the memories of the bygone. 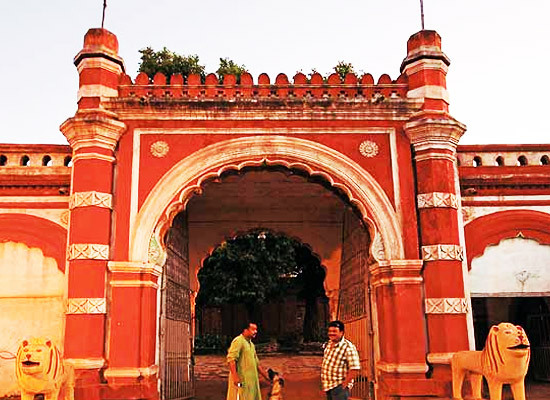 The Chhuikhadan Palace, a heritage property which was built in the 18th century, is located around one hundred and twenty kms to the north west of the state capital of Raipur. This hotel is placed along the road which is connecting Rajnandgaon and Kawardha. 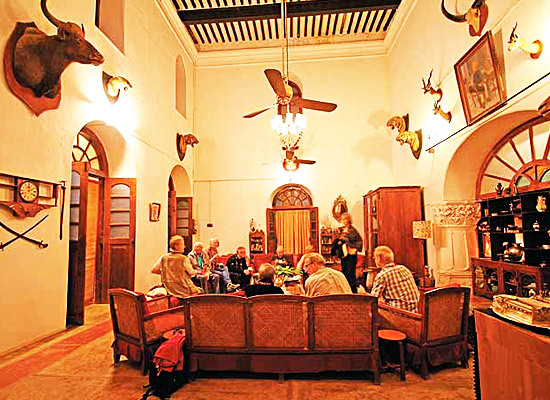 The few rooms which this palace consists of have been restored in such a manner that a traveler can enjoy great services as well as amenities. You can spend quality-time here with your loved ones. Chhuikhadan Palace has to offer two rooms for the guests, where one can enjoy loads of comforts and relaxation where you can also take pleasure in the warm hospitality of the staff of the hotel. The food which is offered at Chhuikhadan Palace, is the local Indian cuisines, which is absolutely lip-smacking. If you want then a bonfire dinner can also be organized by the nearby dam, by the staff of the hotel. Chhattisgarh is one of the largest states of India, located in the central region of the country. It is an important state in the country from the point of view of tourism. Most of its towns are rich with cultural heritage, wildlife, waterfalls, temples, tribal culture, temples and so on. There is something for everyone.